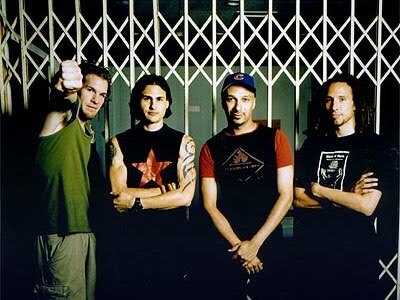 LOS ANGELES, CA - Rage Against the Machine will play their first concert in Los Angeles in 10 years at the Hollywood Palladium Friday with all proceeds going to benefit Arizona organizations fighting SB 1070. Conor Oberst and The Mystic Valley Band will also perform. Benefit concert performers will be joined by long time civil and immigrant rights activists Tom Seanz, President of the Mexican American Legal Defense and Education Fund (MALDEF), Dolores Huerta, Co-Founder of the United Farm Workers (UFW), Arizona grass roots leader Sal Reza of Puente, and other community leaders. This will be the Soundstrike’s first official press conference. The SoundStrike artist boycott of Arizona has gained international attention and support. Hundreds of artists have committed to exercise their conscious and their collective power to both reverse the punitive, discriminatory and misguided Arizona law as well as to help lead a more productive national debate on diversity and unity. The mission of The Sound Strike is a call for Artist’s to Boycott Arizona due to the passage the Sb1070 law. For more information please visit our website www.thesoundstrike.net.